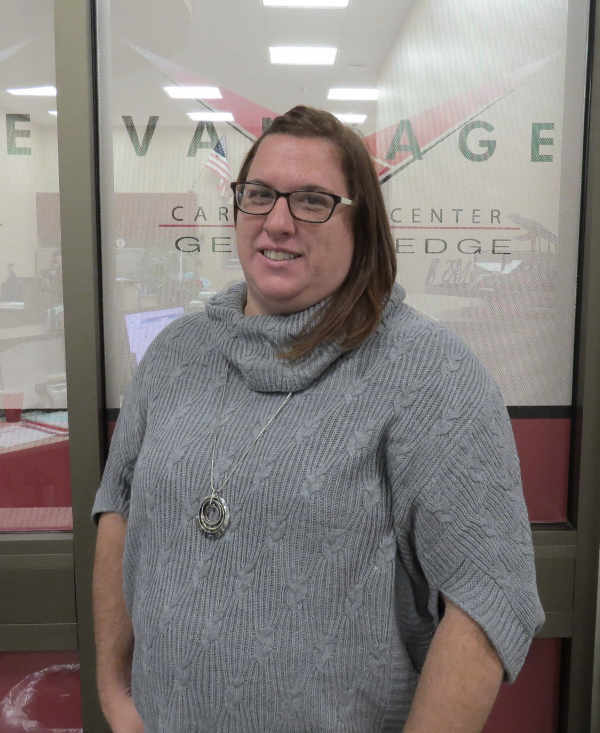 VAN WERT – For the past two months, Maria Diltz has been learning a lot in her new position as Ohio Technical Center Enrollment Coordinator at Vantage. Diltz, a Delphos St. John's and Vantage graduate, started the position in December. Prior to starting at the OTC, Diltz worked at the Delphos Chamber of Commerce. In high school, she was enrolled at Vantage where she took administrative assistant training. Diltz also attended adult courses at Vantage, where she was enrolled in business, health and office training. “[I’m excited to] help the adults get that education or that program training they need so that they can better themselves and can move forward in their life,” said Diltz. Diltz said the past two months have been exciting as she has been learning about OTC programs and helping adults get enrolled in courses where they are gaining credentials. Currently, she said, she just helped fill open positions for the STNA and welding programs which start this week. Diltz also works with high school students looking to enroll in adult education courses. Some programs such as the CDL program allow students to graduate high school with an adult education credential. “We also go to the schools to let the students know what we can offer them,” said Diltz. In March, the OTC will speak to students with the hopes of sending a message to students that are undecided about college that there is another option with the adult education programs at Vantage. Those interested in enrolling in courses at the Ohio Technical Center or wanting to find out more about the programs offered can contact Maria Diltz at diltz.m@vantagecareercenter.com or by calling 1-800-686-3944 ext. 2118.